Msheireb Properties aims to bring together traditional and modern concepts using innovative eco-friendly technologies to generate energy for its 5.5$bn “Doha Land” project located in the heart of Doha. 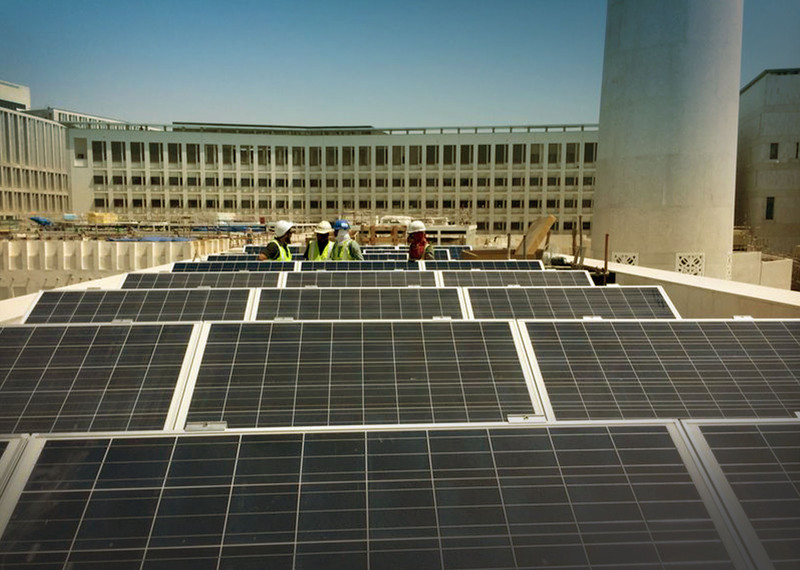 With sustainability at the core of this development, we implement the photovoltaic and solar thermal systems in multiple phases of this project to support Msheireb in achieving its energy conservation and CO2 emissions targets. Upon completion of all phases, the development will represent the biggest concentration of LEED certiﬁed buildings in the world.